5 Tips on Growing Summer's Most Refreshing Vegetable! Cucumbers are an excellent warm season crop that is showing up in gardens and at the SFC Farmers’ Markets now. Cucumbers (Cucumis sativus), part of the Cucurbitaceae family that includes melons and squashes, are a refreshing vegetable to grow in the summer as they contain over 95% water. In Central Texas, cucumbers are planted two weeks after the last frost of the New Year, from March to April, or August through early November well before the first frost of winter. 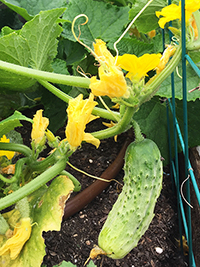 If you are growing cucumbers this summer, we've got 5 tips for you on how to take care of your plants to ensure a healthy crop. Plus, we've got an easy summer recipe for a delicious way to prepare your cucumber harvest. Meats for the Grill: This week Richardson Farms will have fresh whole milk, fresh eggs, pastured pork and chicken, and grass-fed beef - perfect for your 4th of July grilling! Visit them Downtown or Sunset Valley. Certified Organic: This week Tecolote Farm is continuing their potato fest with SIX varieties of organic potatoes! 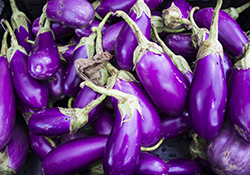 In addition to potatoes, they will also have Texas sweet 1015 onions, vine-ripened tomatoes, Juliet plum tomatoes, Sungold cherry tomatoes, New Mexican "Hatch"-style but Tecolote-grown chiles, cured Texas Rose garlic, pickling cucumbers, Mediterranean cucumbers, herbs, French Sorrel, other peppers, and more! Grill-able Goat Cheese: Trying to up your grill game? Bee Tree Farm can you help you! They will have plain chevre, chipotle honey chevre, feta, and their GRILL-ABLE Greek cheese. Try it out! Fresh Meat: Stop by Natural Champion Farm for chicken eggs, chicken, pork sausage and pork ribs!. 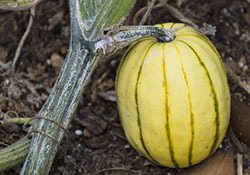 Summer Melons: This week Johnson’s Backyard Garden will have plenty of melons for your summer enjoyment! 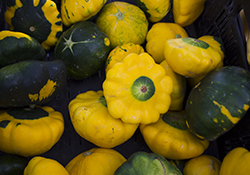 They will be bringing Crenshaw Melons, Galia Melons, Korean Melons, and Watermelons! 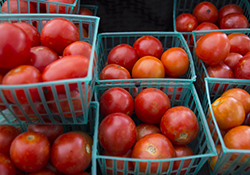 They will also have plenty of tomatoes perfect for your burgers or salads! Visit them at the Triangle, Downtown, or at Sunset Valley.